Accepted file types: jpg, png, jpeg, gif, tiff, bmp. Can't find what you're looking for? Go to our registration page. Just fancy a chat or want to make a general enquiry? 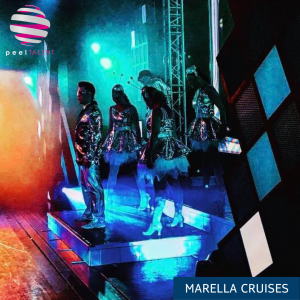 Peel Talent are now recruiting for Senior Technicians to join our Entertainment Teams onboard our international fleet of Marella Cruise ships. Working closely with our technical team on board to ensure that first class entertainment is delivered throughout the ship, our Senior Technicians must have an extensive knowledge of technical theatre production, alongside managerial skills to ensure the technical department are running smoothly on board. As a Senior Technician you will be responsible for managing technical aspects in all performance areas on board, ensuring that all health and safety checks are put in place. Do you have an extensive technical theatre background? Do you succeed well under-pressure? This is a unique opportunity for experienced technical professionals to travel the world whilst working the job they love. View the full role description here. To apply please email your CV and Covering Letter to info@peeltalent.com or call 01756796176 for more information. 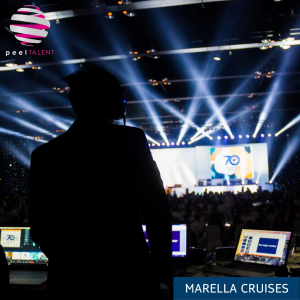 Peel Talent are now recruiting experienced Stage Managers to join our Entertainment Teams and are seeking professional individuals to join one of our biggest clients, Marella Cruises. Working closely with our show team leaders and other members of senior management, our Stage Managers are dynamic thinkers with a passion to deliver first-rate entertainment services. We are looking for individuals who will take responsibility for the technical department and the day to day running of the technical team on board. Upholding the highest standards with a strong attention to detail, Stage Managers must have an in-depth knowledge of technical productions, including audio, video and lighting and a thorough understanding of health and safety within the theatre environment. Handling the delivery of first-rate entertainment for onboard guests, strong managerial and motivation skills are essential. Stage automation system experience is preferable however not essential, our current systems are Waagner Biro. Join us and travel the world working the job you love – coordinating the entertainment for hundreds of guest every week! This is a great opportunity for somebody with vast experience in a technical role to embark on a new challenge. Peel Talent are looking for talented and experienced piano vocalists who are ready for their next challenge, performing on our fleet of cruise ships to thousands of people every week. We’re seeking individuals with an outgoing personality who will thrive within the cruising industry, and be willing to interact with guests both on and off stage. With a repertoire of at least 300 songs in a mixture of modern and traditional styles, our piano vocalists are regarded as some of the most talented performers onboard– 4 of our ships were recently ranked in the top 5 for Best Entertainment in the 2017 Cruise Critic Cruisers’ Choice Awards – so our audience agrees as well. Our guests are admirers of fantastic music and are the most appreciative you will ever come across; it’s like performing to a group of friends every evening. Working with Peel Talent provides you with the opportunity to travel the world, and also hone your skills as a performer as you are met with new crowds each week. If this is something you would be interested in then please apply by sending your CV with performance experience, videos of past performances and repertoire list to info@peeltalent.com. You can also call our talent team on +44 (0)1756 796176 if you would like any further information – we look forward to hearing from you! 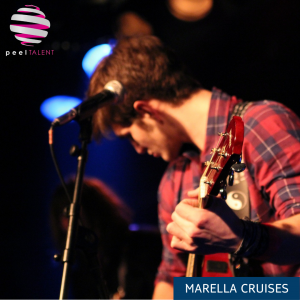 Peel Talent are seeking for a highly skilled Guitar Vocalist to join our award winning entertainment team on board Marella Cruises. As a Guitar Vocalist on board, you will need to be musically talented and must be able to read music and have an existing repertoire of at least 150 songs. Do you want to earn a living whilst travelling the world? Do you enjoy interacting and engaging with a large audience? If so, this is the job for you! To apply please email your video reel, CV and repertoire to info@peeltalent.com or call 01756 796176 for more information. 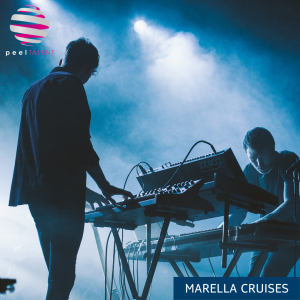 Peel Talent are seeking Sound Technicians to join our Award Winning Entertainment Teams onboard our international fleet of Marella Cruise ships. We’re looking for passionate and experienced professionals, to work with Soundcraft digital desks and Qlab 4, as you help to provide digitally innovative solutions to ensure the delivery of first rate entertainment services to thousands of guests each week. Working with Peel Talent is a fantastic opportunity to develop your technical skills and provides great career progression, all whilst travelling the world. 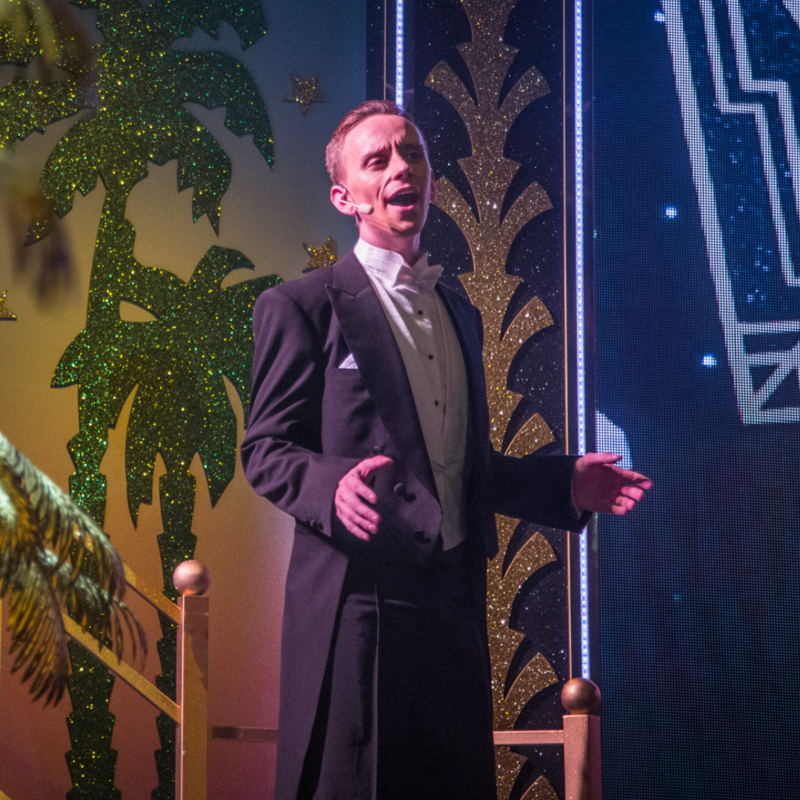 As part of the on board team you will ensure that first-rate entertainment is supported whilst working with the most diverse entertainment product at sea with over 11 different full production shows. You will play an integral part of the running and operating of the entertainment sound and technical equipment in all areas of the ship. The ideal candidate will also be experienced in technical/staging support including AV systems, lighting and sound and will enjoy the opportunity to further their technical knowledge by assisting with stage set ups and pack downs for main theatre shows, light entertainment games and live bands. Taking pride in the equipment, ensuring the maintenance, repair and safe storage of resources at all times is also essential. So are you ready for a life at sea? This opportunity is perfect if you enjoy the variety of live theatre and you are looking for a new and exciting challenge, view the full role description here. To apply, email your CV and covering letter to info@peeltalent.com or call 01756 796176 for more information. Peel Talent are currently recruiting experienced Lighting Technicians who possess both the knowledge and drive to develop their careers within an award-winning company. Our technical team use their expansive knowledge of the latest cutting-edge equipment to provide superlative assistance across all aspects of entertainment. Including, over 11 different production shows, alongside a number of light entertainment and musicians! Technicians are expected to work seamlessly as a team in order to keep up our exceptionally high standards, with a keen eye for detail and an aptitude for all things technical. It is essential that you have previous experience working with ETC Ion and/ or Grand MA2 lighting desks. This is an unmissable opportunity to become an integral member of the technical department behind award-winning entertainment; so what are you waiting for? View the full role description here. Email your CV and Cover Letter to info@peeltalent.com or call our Talent team on 01756 796176 if you require any further information. Peel Talent are now recruiting for Sports Hosts. We’re looking for passionate and experienced professionals to join our team onboard Marella’s newest additions to their cruise line – Marella Discovery and Marella Discovery 2. As one of the Sports Hosts you’ll be involved in running a number of high-energy activities onboard. 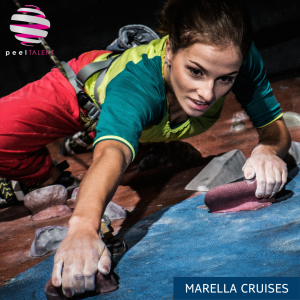 Not only this, but you will supervise all guests who use our onboard climbing wall, ensuring they have fun whilst also carefully managing their health and safety. This is the perfect chance for somebody with an outgoing, sociable personality to travel the world, make new friends and pursue their perfect career. All applicants must already possess a full CWA accredited qualification. In addition, applicants must already have, or be willing to complete, sea safety training. The ideal applicant will have these relevant qualifications and at least one years’ experience in a similar fitness and/or recreational sports instructor role, as well as a sense of adventure and a willingness to socialise with our friendly guests! Apply now with your CV and cover letter to info@peeltalent.com or speak to someone in our Talent team by calling 01756 796176. 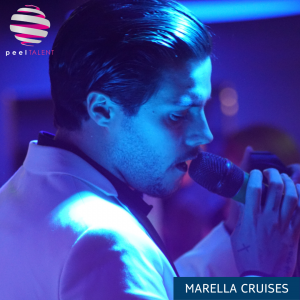 Peel Talent are delighted to announce availability for Male Singers for two exciting contracts onboard Marella Cruises – Marella Discovery 2 and Marella Celebration. If you’re professionally trained, have a passion for performing and are ready to wow audiences every time you take to the stage, we want to hear from you! 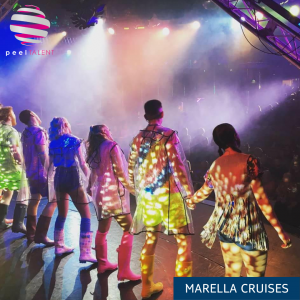 Join our award-winning Show Teams in travelling the world with Marella Cruises, performing in front of thousands of guests each week and starring in everything from our own bespoke shows to contemporary takes on West End classics. You’ll work with our incredible Musical Directors, Choreographers and Creatives day in, day out as we deliver our breath-taking range of new shows such as ‘Nashville Live’ to packed out theatres around the world. What’s more you’ll also get to explore both the Mediterranean and Caribbean’s most incredible destinations with itineraries for both of these opportunities including stays some truly must-see locations.